Norwegian doctor, veterinarian and botanist, member of the famous expedition of F. Nansen on the "Fram". Born in Drammen, in the family of a priest. In 1885 he entered the University of Christiania and graduated with the degree of candidate of medicine a few weeks before the departure of the Fram in 1893. 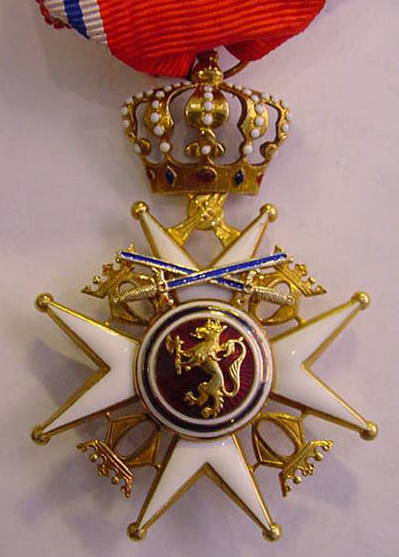 For participation in this expedition, Blessing was awarded the Order of St. Olaf and, like all participants, a commemorative medal "Fram". 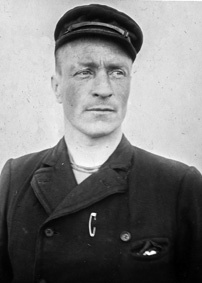 On the expedition, Blessing kept diaries, the red line through which his dissatisfaction with the head of the expedition, Fridtjof Nansen, passes. Many years later, at the age of about fifty years, Blessing wrote in his diary that the expedition was to become his "great chance in life." Indeed, the expedition was for the young doctor fateful. Blessing was very interested in the origin of scurvy and set out to find out if he could cause it, exposing his body to regular high loads. He began to experiment on himself, using narcotic substances from the ship’s first-aid kit.This marked the beginning of many years of drug addiction. In particular, he began taking controlled doses of morphine . Cora Norum, a doctor and professor at the University of Oslo, read the diaries of Blessing and the ship's commander Otto Sverdrup. He is convinced that it was Blessing’s addiction that caused his name to have faded into oblivion. After the expedition, Blessing worked as a medical assistant in Christiania, and in 1900 he went to Africa , where he spent 4 years as a doctor in Zululand, Natal, South Africa. From 1914 to 1916, he was a ship doctor aboard the floating plant Solstreif in Larvik. Mountain on the east bank of the Smerenburg Fjord, Albert I Land . The coordinates are 79° 40'N 11° 00'E.